Shopping prowess isn’t necessarily a skill that shows up in IT job descriptions, but it should be. Every IT pro has an equipment wishlist that needs to be budgeted for, selected, and purchased. If you’re looking to build a wireless network or update your aging infrastructure, the following guide will help you make smart choices. Before you even begin putting pen to paper for your shopping list, you’ll need to embark on a little fact-finding mission. New hardware isn’t always the solution. Start by identifying the problem that you’re trying to solve. From there it’ll be a little easier to select the product that’s going to fix it. A great example is the following scenario: You have a wireless internet with very slow internet connectivity. The first place to look would be at the internet connection. Is it the pipes or the connection itself? Are you able to achieve higher speeds through a wired connection, or do you just have slow internet? If the problem is slow internet, then you will never solve the problem with WiFi hardware upgrades. What about a stability issue? If your network loves randomly kicking devices from the network, then you might a DHCP issue, which isn’t a hardware issue. That’s a software issue. Again, without first looking at your domain controller or router, you will never accomplish your goal by replacing the WiFi equipment on site. If you’ve determined that you, in fact, require new hardware, it’s time to start planning. There are two primary things to look at — WiFi speed and range. These two factors weigh heavily into your hardware decisions, and you’ll often need to sacrifice one for another. Do you need each access point to cover as many square feet as possible, or are you willing to sacrifice some wall penetration and distance for increased transmit speeds? WiFi standards are relatively easy to understand if a little unwieldy to bring up in general conversation. As outlined previously, each frequency has its own pros and cons, but which standard belongs to which transmission speed, frequency, and range? Below is a table that will help you to decide which WiFi standard is right for you. WiFi speeds from Keith Barker’s Network+ course. It is a great idea to look at getting a heat map of your building done so that you can identify weak points within your WiFi coverage map, allowing you to increase the number of access points within a specific area. There are free tools that will let you do this yourself, which will save some money and allow you to make the most of the exercise. 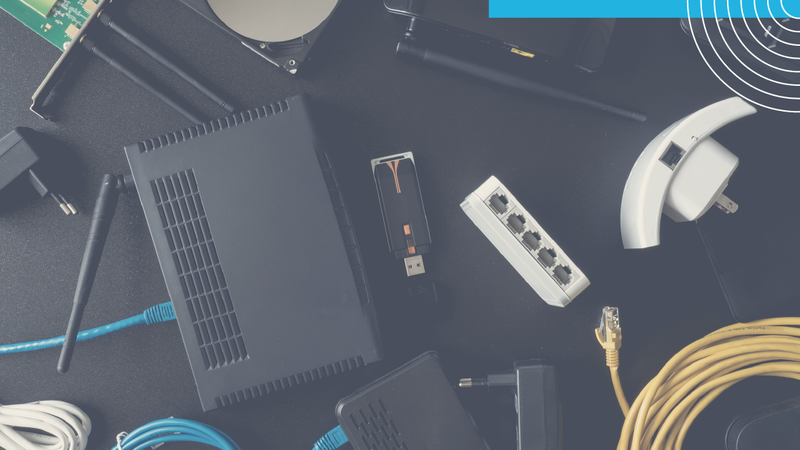 If you don’t know where to start, Jeremy Cioara surveys an existing WiFi network in his newest course IT Expertise: Building and Configuring a Business Wireless Network. It’s worth a look to get an idea of how the pros do it. If you work in an environment that has a low tolerance for downtime, such as logistics or manufacturing, then you will want to look at products that are geared towards enterprise clients, rather than consumer grade home hardware. Going this route is certainly going to cost a bit more money than buying a cheap consumer kit, but this is out of necessity rather than technological snobbery. Your setup will need to cater for multiple SSIDs on the wireless network, multiple band support (2.4GHz and 5GHz), VLAN tagging support, and POE in some instances. All of these requirements should be looked at before you settle in on a specific product, so you will need to analyze your existing setup and find out exactly how everything communicates on your network, and how the routing has been set up and also how the network has been segmented. If you find that your current setup doesn’t have any of these features, then now is a great time for you to start drafting up a plan on how to divide up your network segments and streamline the WiFi from the ground up. You will be so happy that you did further down the line when troubleshooting a problem becomes as easy as checking your email for detected issues on your WiFi network. The next step is finding out exactly what the monitoring and management requirements will be for the network. All too often, an excited IT team will sink considerable resources into expensive wireless access points (WAP) but neglect the management controller software, leaving them with tedious, ‘dumb’ devices that need to be individually configured on the network. This isn’t smart at all, especially if you have a complex setup with multiple VLANs, IP address ranges and routing requirements for each class of device on the wireless network. Many of the top brands offer wireless technologies with simple and intuitive management consoles that give clear information and real-time statistics such as client connections, client usage, and speed, total area coverage by means of a floor map and the state of each device on the network. Look at your current setup and decide what is lacking in your existing capabilities, and what would be an improvement over your current setup. The research will be an integral part of this step as you should read as much material and watch as many videos as you can to determine what products will work in your current setup. At the very least, you’ll want to train a little on basic wireless network setup (even if it’s just for a refresher). So this isn’t necessarily the best part for everyone, but there is a lot to be said about receiving large boxes filled with technological goodies with your name on them. We all have our own personal favorite suppliers when it comes to ordering electronics, so there isn’t too much that you need to take into account here. Be sure to leverage larger quantities for a discount with your supplier if you aren’t buying directly from one of the larger online retailers. (It never hurts to ask.) Some online retailers will offer to match or beat a better price from a competitor, so keep an eye out for that as well. Every penny saved by your company can go into future products! Behind every good WiFi installation is a decent cabling job, which means that you need to have all of the wired connections ready and possibly labeled before you get started with anything else. Depending on the complexity of your site, you should have all of your network settings configured and ready to accommodate the new hardware as well. Remember, the more you have configured ahead of time, the less likely you are to have issues during the install. Choose a quiet day or even a weekend to go in and get everything set up and ready, ensuring the least amount of downtime possible for the staff that will be using that segment of the network. Once you are running with your new WiFi setup, all that you need to do is actively monitor your controller and keep an eye on the signal from time to time. Get into the habit of checking out different sectors on a rotational basis, as this will allow you to pick up any issues before they escalate. Setting up automated monitoring is a great idea, and will let you be proactive in the event of any device failures on your network. Having some spare hardware on hand to swap out in times of need can be a real lifesaver. We hope that these hints will help you with your next WiFi install!